If you work with virtually any type of digital media, then you’ve likely used the pillars of Adobe’s Creative Cloud. Their popularity means everyone from photographers to graphic designers to video editors can attest to the power of Photoshop, InDesign and Illustrator. For creative work, there really is no program bundle that offers a more varied array of useful tools. Of course, wielding that kind of creative power is never so simple. With the training available in the Graphic Design Certification School ($39, over 90 percent off from TNW Deals), you’ll fully understand the full capabilities of each of these iconic programs and learn new innovative ways of employing them to craft your own videos, pictures, artwork, business materials…almost anything. 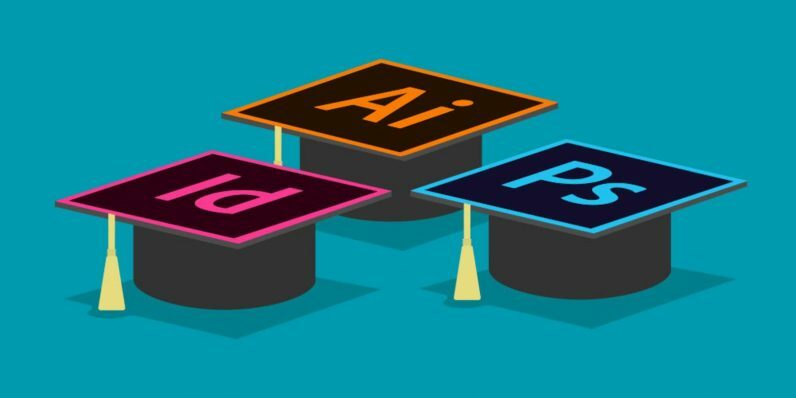 Photoshop’s been the industry standard for digital imaging for two decades — and with this Photoshop Course, you’ll understand why. From organizing and correcting images to subtle manipulation like color adjustments or masking to completely unique digital creations such as 3D, this course will give you the background to make it happen. While Photoshop focuses on images, the Adobe Illustrator Course plunges you headlong into basics (and no-so-basics) of graphic artistry. Here, you’ll learn the fine points of vector illustration and how to create, change and scale logos, icons, shapes, typography and more in any way you can imagine. Next, your Adobe InDesign Course training will show you how to incorporate images, vector art and more into almost any physical media form you choose. If you’re crafting promotional materials like fliers, newsletters or posters, you’ll learn how to craft templates and produce effective pieces. If your ambition is pointing you toward magazines, e-books or other digital publishing ideas, the lessons here will serve you as well, helping you create work that can stand next to professional-grade product. Each of these courses also offers credit toward CPD Certification, independent confirmation that you’re fully versed and very employable for creating with any of these respected tools. This training is a nearly $1,200 value, which you can pick up right now at just $39 for a limited time.